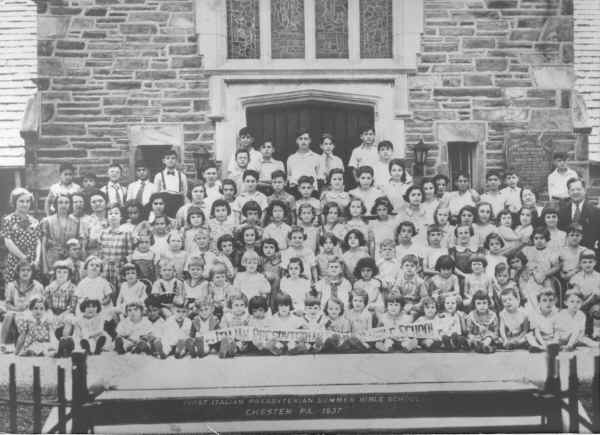 "You may enjoy this photo of the Vacation Bible School of 1937. My mother in law and her siblings are in this photo. In addition, my husband was baptized at this church in 1952." The cornerstone for this church was laid in September 1924. The church was created under the auspices of Chester's Third Presbyterian Church. This church merged with Third United Presbyterian Church on September 12, 1965. © 2000, 2001, 2002, 2007 John A. Bullock III.